With the holidays coming up, many of us are facing hectic travel schedules. How do we care for our plants when we leave for vacation? How long will you be gone for vacation? What sort of regular care do your plants need? Many plants will do just fine if you’re gone for just a few days – especially notoriously hard-to-kill plants. My succulents do well with even longer vacations because they just don’t need that much regular care and they survive water stress well. But most plants need a bit of help to stay happy and keep cleaning the air while you’re gone! Things get much trickier if you keep an extensive plant collection, have an outdoor garden, or take care of finicky plants. So what if you’re going to be gone for longer than your plants can really handle on their own? Homemade Drip Irrigation. Take a plastic water bottle and fill it with water. Screw on the cap and poke a small hole in it. Water your plant, then bury the plastic water bottle (open end down) in the dirt. The water will slowly drip out. This doesn’t work well for plants that like a bit of dryness – like succulents and orchids – because it might over-water them. Best for trips of roughly 3 days for plants that like regular watering. String Irrigation. Get a water-absorbent string like cotton. Then dip one end of that string into a water container and put the other end in your plant’s container. This doesn’t work well if the string isn’t very water-absorbent. Best for trips of 3-5 days. Unfortunately, these DIY systems aren’t ideal for plants that need specific amounts of water at specific intervals. Some plants don’t like having a constant drip of water. Many plants actually do better if they’re allowed to dry out a bit between waterings. You may want to test your DIY watering system before you go on vacation to ensure that it’s working well. You can always tweak it as you go along, especially if you catch any hiccups in the system before you leave! If you’re going to leave for vacation for more than about five days, you’ll probably need to get help with your plants from friends, family, or equipment. There are plenty of automatic watering systems available for purchase. These can be quite expensive, but they might be more reliable than friends or family. Some plants can tolerate a bit of water stress – it doesn’t rain the exact same amount at regular intervals outdoors, does it? But some plants don’t do well with any changes, probably because they’re so far removed from their wild ancestors genetically. 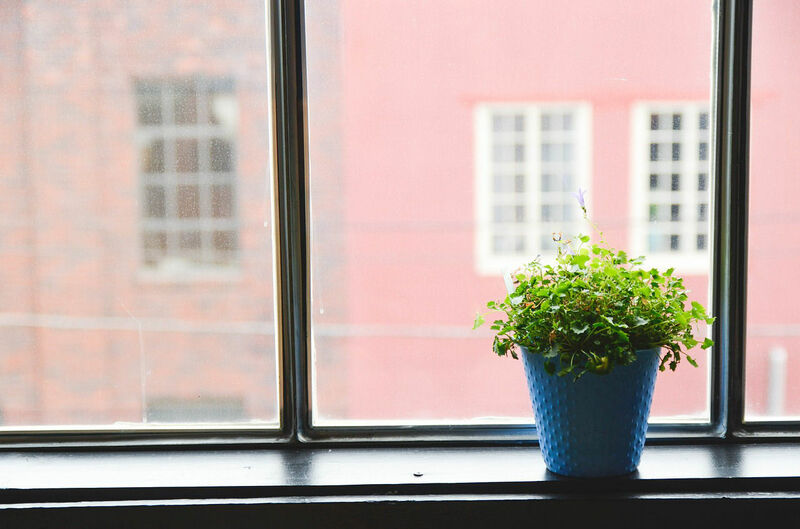 Plant-sitting is an easy enough job, and it’s generally not difficult to get friends to come by and care for your plants. Your friends might even enjoy how your plants boost their mood and battle seasonal depression! Just be sure to write out clear instructions, even if you only have one plant. If you’ve got many plants, make sure that it’s crystal clear which instructions pertain to which plant. Getting a plant-sitter during the holidays might be hard, but using apps like Thumbtack and Nextdoor may help you find a local outside of your friend circle. An Outdoor Garden. Getting a friend to care for your garden is probably your best bet if you care for a large garden, as well. Setting up a DIY home irrigation system can be tricky outdoors since rainfall or excess heat can easily throw your calculations off. A Bonsai or Other Finicky Plant. If you’ve got a really treasured Bonsai or other tricky plants, you may be able to leave your plant with a professional “plant sitter.” The greenhouse near my old apartment advertised plant-sitting around the holidays, especially for Bonsai owners. A Large Collection. It’s just too complicated to set up a DIY watering system for most of us if we’ve got a lot of plants. Gardens, Bonsai, large collections, and other finicky plants will almost universally do better with a plant-sitter than a technological fix while you’re gone. How do you care for your plants when you leave for vacation?